Gracie Frizzell visited with her high school coach Wednesday. The Rebel Walk is bringing you updates each day on our Ole Miss women’s basketball team and its road to victory in the SEC Women’s Basketball Tournament in Little Rock, Ark. The No. 8 seed Rebels (17-12, 7-9 SEC) arrived in Little Rock on Tuesday, and the tip-off of their first game is set for today at noon. They will play the No. 9 seed Arkansas Razorbacks (16-12, 6-10 SEC). This is the second year in a row Ole Miss opens SEC Tournament action against Arkansas. Last year, Ole Miss and Arkansas played in the opening round with the Rebels handing the Razorbacks a 63-62 loss. The victory was Ole Miss’ first in the SEC Tournament since 2010. 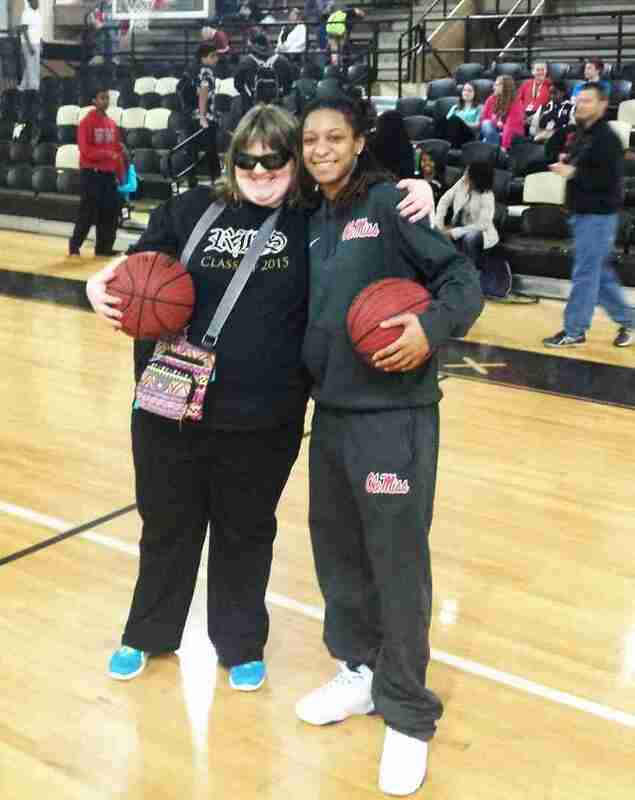 Ole Miss players worked with special needs students while in Little Rock for the SEC Tournament. The team’s Wednesday morning began with a breakfast buffet in the hotel. Afterwards, the players sloshed through heavy rain to board the bus for the short trip to the Verizon Center for their first practice. Following practice, the Rebels went to Central Arkansas Christian High School—the school our own Gracie Frizzell attended. Needless to say, Gracie was excited to be home! 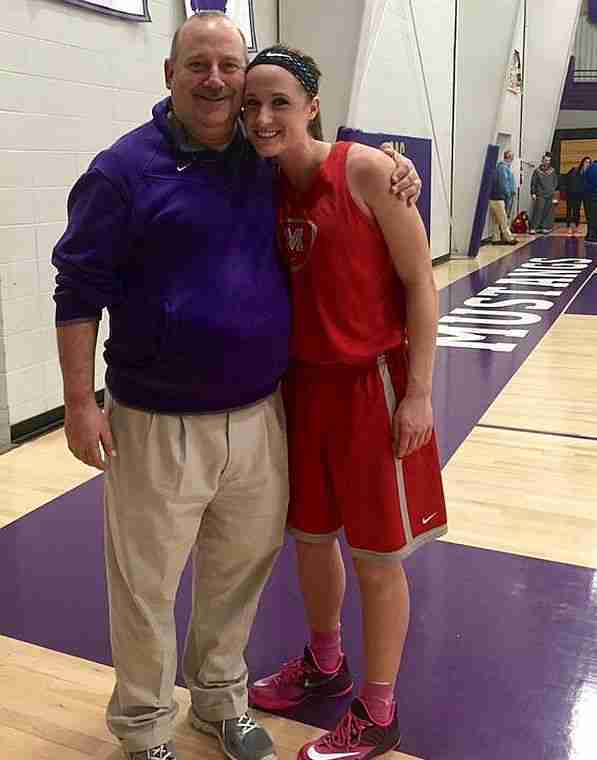 She was able to spend a little time visiting with her former varsity basketball coach, Steve Quattlebaum. The practice was lively and intense. The team appears to be on its game and ready to get down to business against the Razorbacks. Following the workout, the team boarded its bus—in yet another downpour—for a local high school to engage in some community service with the special needs students who attend the school. Those who were there saw the smiles and excitement on the faces of the kids as they got to spend time with our women’s team. 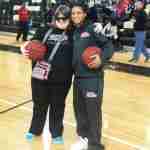 The Rebels were kind and caring as they helped the kids dribble, do layups and shoot baskets. 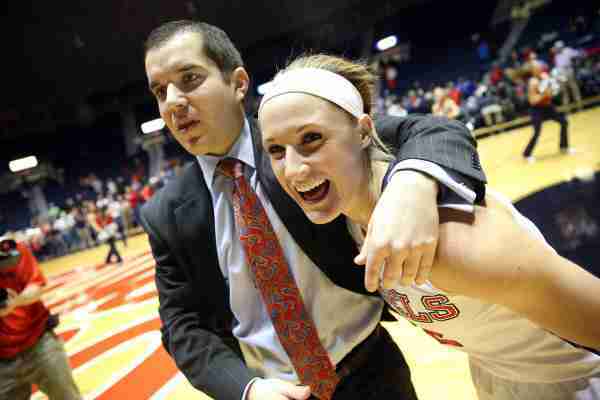 It was obviously meaningful for the students as well as the Ole Miss women’s team. We should all remember to be thankful each and every day for the blessings and talents we have been given, for many are not as fortunate! 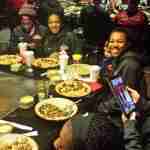 Ole Miss players enjoyed eating at Benihana Wednesday. After leaving the high school, the players returned to the hotel to shower and change before heading over to the Verizon Center to watch the first game of the tournament. 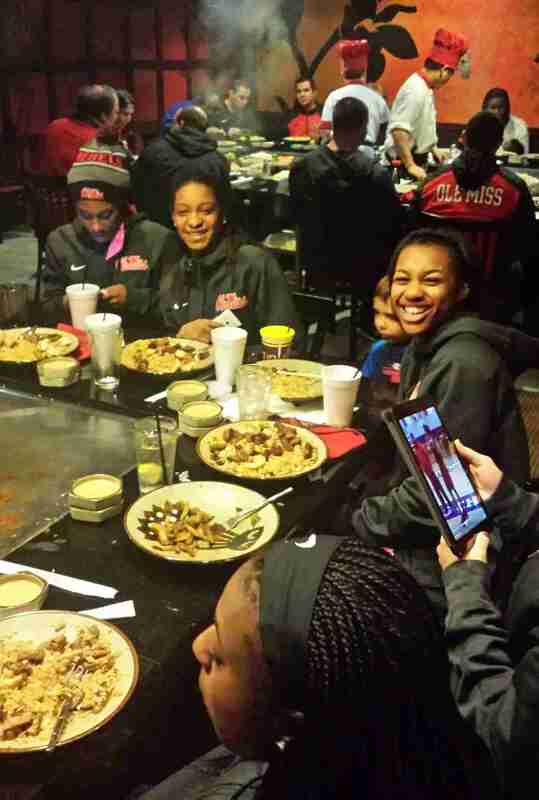 Following the basketball game, the players ended the evening with dinner at Benihana before returning to the hotel to rest up for the game Arkansas. The game will be broadcast at noon on the SEC Network. Or, you may watch it via WatchESPN. Click here to go directly to the ESPN site.